Ahhh, I had an amazing weekend spending time with one of my best friends, Hannah (the same girl who did the amazing hair from this post). She's one of the most creative people I know and I can't express how much I appreciate being inspired both artistically and spiritually. I really think that one of the best ways to stay happy and healthy is to surround yourself with friends who are good people and love you for who you are. Even if it takes 6 hour drives to see each other sometimes. ;) Thank you so much for staying with us Hannah, I love you!!! Speaking of loving friends, I wanted to share with everyone this amazing love package I received from the very talented and loving Eki of ekimura.blogspot.com and her kawaii shop, ekilove.com. 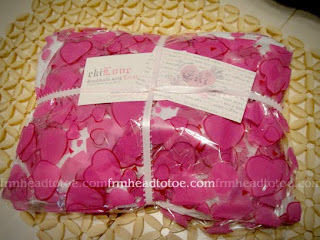 First of all, I'd like to mention that Eki has the most amazing packaging of any online shops I've seen. She's always telling me that she is putting her packages together and you can see why they take so much time! It's because she puts so much love and thought into each one. Lots of cute tissue paper, ribbons, and pearlescent business cards. 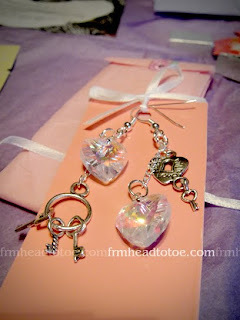 The gorgeous love lock earrings! 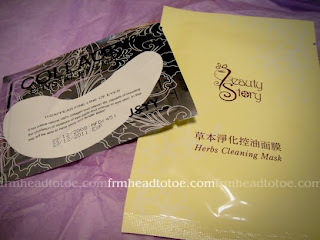 And a collagen crystal eye mask and My Beauty Diary mask. I can't wait to try this mask everyone has been talking about! 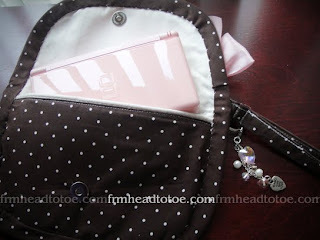 And of course I saved the best for last, a handmade Nintendo DS case, perfect for my pink DS. What can I say? I'm a big nerd. (I highly recommend Phoenix Wright and Professor Layton games ;) Ahh, look at the gorgeous charms! DS fits perfectly. And it matches too. Such good handmade craftsmanship, with pleats in the back. 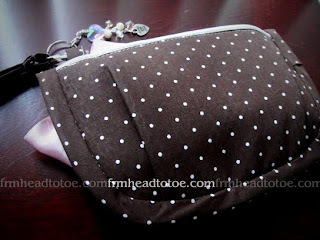 Even has a pocket in the back, and everything was lined with nice fabric. I was really impressed. My mug with my new kawaii ds pouch! 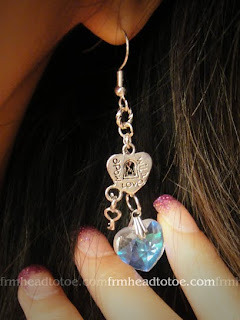 And here are the Love Lock earrings, worn. This one is style "C". 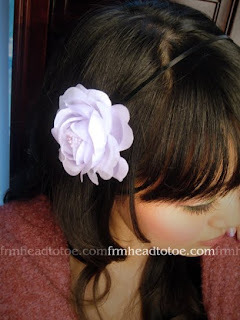 Again, if you like these please visit http://www.ekilove.com/ and support the revolution of kawaiiness! I LOVE THE DS CASE! I have the same DS too! I LOOOOVE PHOENIX WRIGHT AND PROFESSOR LAYTON!! I love love her creations! Super excited for my latest order to come in hehe >< Looking gorgeous as usual, and the DS case is super cute!! 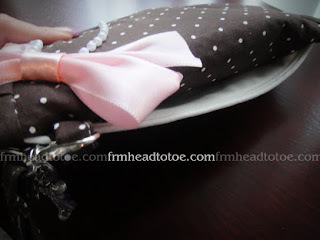 That is THE BEST and CUTEST DS case I have ever seen! I also love Professor Layton =) The storyline of the latest one was a bit weird, but puzzles were still fun. i love love love that burts bees lipbalm! i even have one stuck under my bed which i haven't fished out yet, i'm too scared to crawl under my bed cause i'm claustrophobic haha! Gorgeous! I love Eki's pouches and accessories - her worksmanship is soooo beautiful! Those are my favorite candies! I used to be able to find them all over the place around here, but now I have to make a special trip in SF to find them (which makes me sad. I could go through a bag in a week, easy). That reminds me, I need to make a trip, hehe. That's a lovely DS case (and earrings, hehe). Hope you had a great weekend Jen! 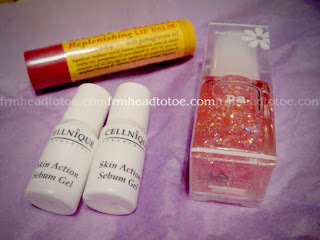 I love Eki's blog and her products! I never bought any but once I find something I really like, I will splurge, trying to save money for presents. I don't know where you live butif there is a Mitsuwa near you, those ume candy [the one with the woman], can be bought from there. I bought mine there. I also bought ume candies from the Asian [Chinese] supermakers. Hopefully, you can find some there so you don't have to wait for your friend to come back from Japan. By the way, I love Phoenix and Layton games. I can't wait for the third Layton to come out. I really wish they would make a movie; I love the style of the art in the games. :) Can you recommend any other games? e.motion in motion: ooh, you should post about yours when it comes in too! ^^ I can't wait to see. omelette: Yeah, I should check locally. I never saw it before but maybe I just didn't know what it was. As for games, I really recommend My Sims, Cooking Mama, and Zoo Keeper. :D But I like all of the Phoenix Wright series the best! 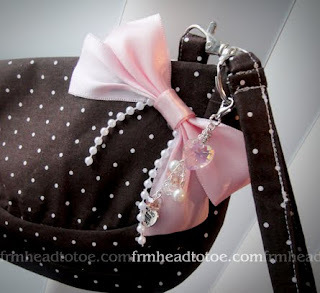 I just placed an order with her for a black alice bag-- I'm super excited ;). Nice goodies there! Woahhhh the DS case is soooo cute! 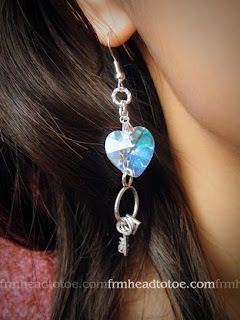 It's like no one would even know there would be a DS inside :) The earrings look very lovely on you! I might get a pair XD They're so pretty! Lucky you :) i have a pink ds too, but not such a cute case!! 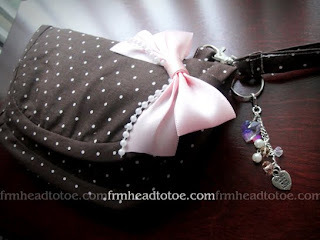 I've also been bugging Eki to make wristlets-- OMG. I'd buy so many. :X Especially the ones with clear pocket as ID holders. Eki creates the cutest sparkly jewelry. Very pretty!